Gatlinburg is a wonderful place to visit all year long, but one of the very best times of year to go is late November for the Great Smoky Thanksgiving Arts & Crafts Show. Scheduled November 25 – 30, this craft show is a true step back in time. While the crafting community of Gatlinburg was established in the 1930s, the heritage goes back much farther, with many of the artisans making their living the way their pioneering ancestors did back in the 1760s and 1770s. 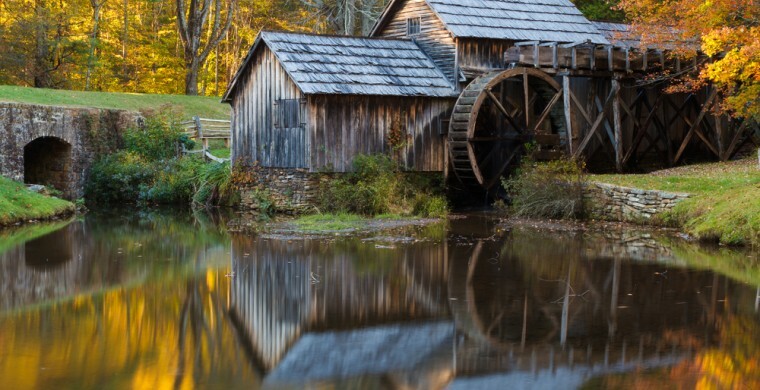 The Great Smoky Thanksgiving Arts & Crafts show is a reflection of this heritage, and the sheer variety of crafts is one of the reasons it's a can't-miss Gatlinburg event. You'll meet glass artists, candle makers, basket weavers, potters, silver smiths, furniture makers, soap makers selling gorgeous quilts, one-of-a-kind dolls, watercolors, old fashioned brooms, distinctive jewelry....the list goes on and on. The artisans love to answer questions and will even take orders for custom-made items. The crafts you purchase beat anything you'll find at a shopping mall and, best of all, the show is just in time for the holiday season! Imagine the smiles you'll bring to the faces of the folks on your gift giving list. And don't forget to buy a few things for yourself, too – what better way to remember the special time you spent in the Appalachian Mountains.